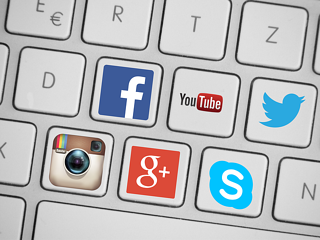 Many businesses feel social media’s primary purpose is to interact with a firm’s prospects. This is true, but there is a much more important reason to market your plastic surgery practice via social media: it can serve as a central means of broadcasting your content to your perfect prospects. In fact, social media is a primary means of attracting prospects to your website: you write informative blog posts that help your prospects find the answers they seek as they consider one or more plastic surgery procedures, and then broadcast these blog posts via your plastic surgery social media marketing channels using keywords you know your prospects use when searching for this information. Prospects see these links to your posts either organically or because you’ve advertised your posts on your social media channels and then click on the link to your website in your channels. They then browse around your site looking for more great information and find the free download you offer that has even more in-depth information about your procedures. They download the offer in exchange for their e-mail address and you then have a true lead to whom you can then court via emails and retargeting with links to more great blog posts and/or to landing pages, where they can download even more free case studies, ebooks, etc. In a nutshell, you use plastic surgery social media marketing primarily in the Attract and Convert sections of your inbound marketing efforts. You will continue to use it, of course, as you move your prospects through their buyer’s journey, but social media is an absolutely terrific first step to get prospects to your information-packed website. Because social media marketing is critical to initially attracting great prospects, we’ve put together a short list of tips you can use today to improve your social media’s return on investment. Understand that social media marketing – like inbound marketing – takes time to see results. Running ads within your various plastic surgery social media marketing channels can help attract more likes and followers than it will simply marketing organically, but it’s important that you commit to a marketing plan of several months – not just weeks – before you’ll see marked results. Add colorful visuals to as many social media posts and updates as possible. Researchers have found that colored graphics, video, etc. increases social media participants willingness to read an update by as much as 80 percent. Promote your social channels everywhere. Place links to your channels on your blogs, on different pages of your website, on signs throughout your office, in newspaper and magazine ads, on business cards, and on all of your staff members’ email signature lines. Many social media channels offer free “follow” buttons you can add to your site’s pages and blog, allowing visitors to follow you with little effort – just a simple click. Place links in your tweets just before halfway through our message; they tend to receive higher clickthrough rates. Ask more questions on Facebook. Yes/no, should/would, even multiple choice questions elicit more comments than non-question posts. Use hashtags in your Instagram descriptions: they will help people discover you there. Tweets posted in the last afternoon (4 p.m.) Eastern time tend to get more retweets than tweets posted at other times. The absolutely most powerful way to improve your plastic surgery social media marketing is to continuously and always deliver informative, well-researched and engaging content to your prospects. Now unfortunately, this one is not an easy tip - making great content (not just okay or mediocre content) is hard. Most practices won’t be willing to do it. But the upside is that if you do in fact put in the effort to do it, you will eventually pull ahead of the other practices who aren’t willing to put in the work themselves. Make sure your social media channels provide links to content with the answers to the questions prospects have regarding plastic surgery procedures. They’ll come to trust your expertise and, as you provide this information over time, when they do decide to have a procedure done, you’re the likely surgeon they will choose. ClearPivot is a HubSpot Certified Agency Partner. We use HubSpot’s inbound software platform, which includes an incredibly effective social media marketing tool which allows us to help our plastic surgery clients improve their social media marketing efforts from “meh” to “marvelous.” ClearPivot is a digital marketing agency specializing in plastic surgery and medspa practices. We help our plastic surgery clients improve their social media and inbound marketing efforts from “meh” to “marvelous.” Our deep focus on the aesthetic healthcare industry means we hit the ground running with our plastic surgery clients, without the learning curve that a generalist marketing agency would need when they work with you.